This week: the “short-lived” part of “the short-lived Ezo Republic” comes to fruition, and what is now Meiji Japan begins dealing with a new issue. Now that the Tokugawa are finally gone, what comes next? Drea, Edward. 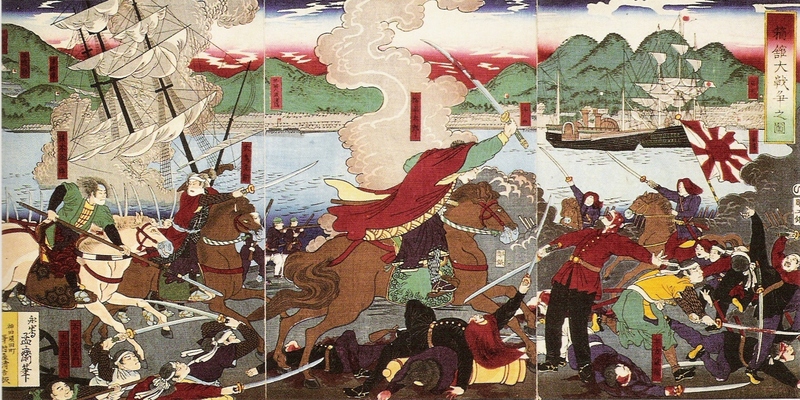 Japan’s Imperial Army: Its Rise and Fall, 1853-1945. The CSN Stonewall Jackson/IJN Kotetsu-maru. Commissioned by the Confederacy and built by the French, this warship was never delivered to its original purchasers. 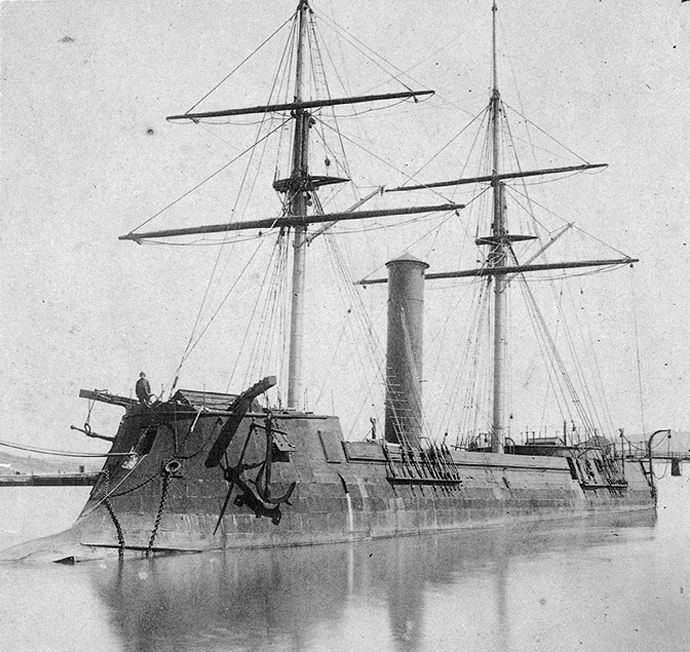 Instead, the US government sold it to the Tokugawa, but refused to deliver it after the Boshin War broke out. Instead, they ended up transferring it to the new Imperial Navy, which deployed it against the Ezo Republic. 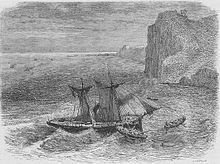 One of the ships of the Ezo Republic navy shown here having run aground after the failed attempt to seize the Kotetsu-maru. Another view of the battle, this one from a European sketch. 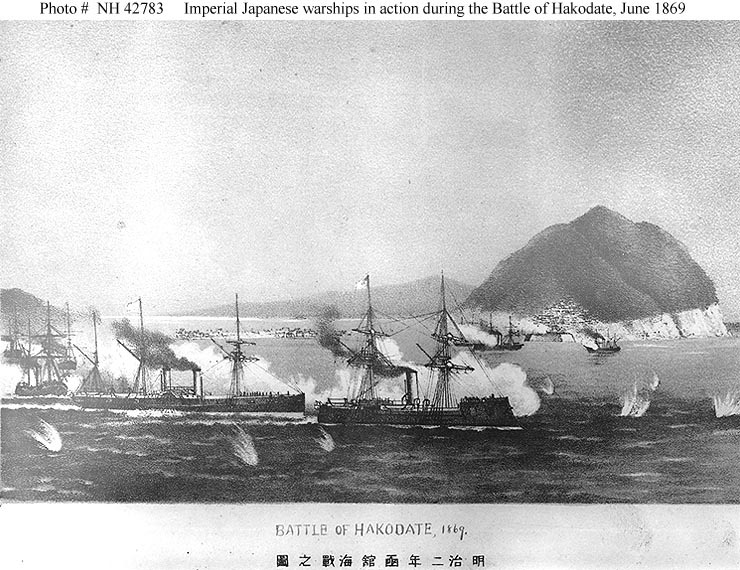 The Imperial fleet is shown here blockading Hakodate. 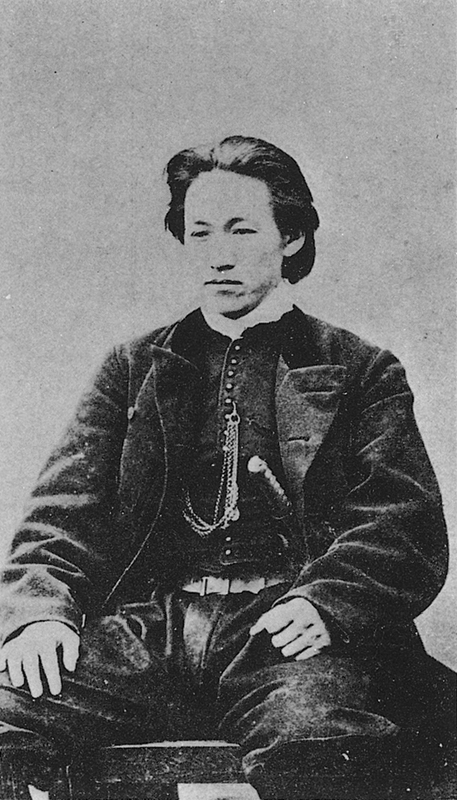 Hijikata Toshizo died on June 20, 1869; he was the last major Shinsengumi leader left fighting. Seven days later the Ezo Republic surrendered. 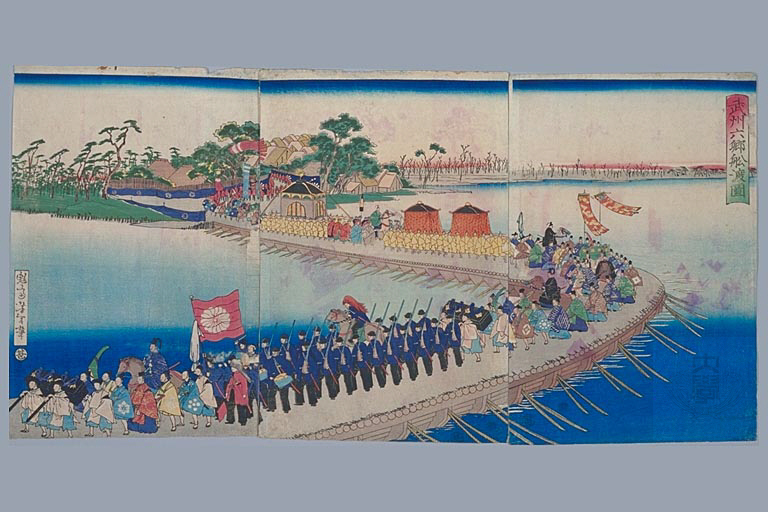 The Emperor’s procession to Edo, 1868. After his arrival, the city would be renamed Tokyo, a name reminiscent of the imperial capitols of China. Image courtesy of Bucknell University. Hey, great episode! It’s a minor thing but Confederate ships are prefixed CSS for Confederate States Ship not CSN. Just like US ships are USS not USN.